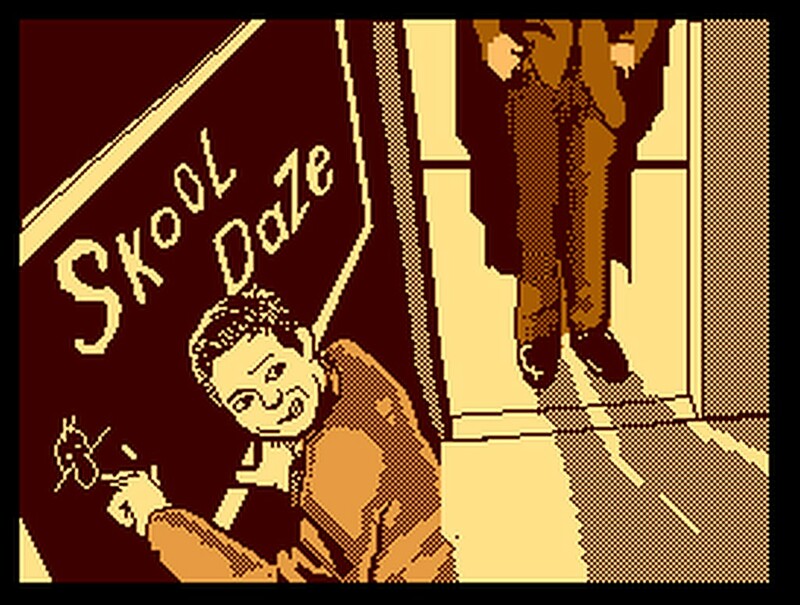 Skool Daze was released in 1984 for the ZX Spectrum and C64, created by David Reidy and Helen Reidy with the ZX Spectrum version voted the 4th best game of all time in a special issue of Your Sinclair magazine in 2004. It was the only game of its time that gave you the true 8-bit experience of being at school, with all the lines and detention that came with the bad side of being a naughty kid. Now for the first time ever, after already appearing on the ZX, C64, Amstrad(Port), PC(Remake) and Mobile, this classic game is going to appear on the Atari 8-bit with development by Mariusz Wojcieszek and José Pereira! 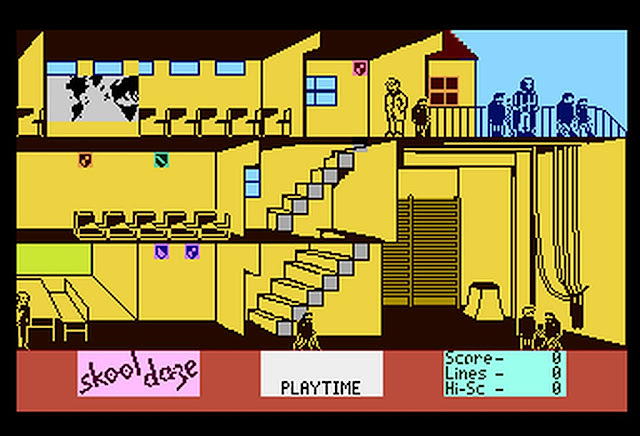 But before you rush off and start the comparisons between this game and the original Speccy one, this latest port development is going to be based on the C64 version, with sound and music done by Mariusz himself, the very same person who also released the Atari 8-bit port of Ultimate Play the Game's ' Gunfright ', which was released earlier this year. Furthermore according to the main source atarionline.pl, the game still lacks certain elements, including. Sound and animation shields (which play an important role in the gameplay). As ever keep checking Indie Retro News for the announced release!